If 2016 was full of challenging and unwanted surprises and 2017 was full of struggle and hardship, 2018 may have been worse. But each moment of pain and disappointment was met with a moment of sweet discovery and refreshment from the Lord. God uses music to comfort and inspire me; he uses books to inject wisdom and awareness; and even technology to shape and structure my days. Here is a list of what God used this year to help me Grow Up. Waylon Live – Jennings was from the same home town as my parents, Littlefield, Texas. I have always been more of a Willie guy but this album is pure country rock and one great song after another. I can’t say any of the songs helped me Grow Up but each time I listened to it, I got a little buzzing in my chest and was able to break the scales off of some of my stress for the day. Music has the power to sooth and ease a burdened spirit, this album did it for me. Renovare Podcast – Episode 111– I ended up listening to this podcast several times and even played it for my staff at a moment of deep despair and hurt. This episode is full of wonderful stories of the great saint Corrie Ten Boom. We can never be reminded enough that God is more powerful than our circumstances and deeper than our lowest points. Things Above – I talked about this podcast recently and make a point of listening to it weekly. Hosted by AE creator James Bryan Smith, the focus is on mind discipleship, where we place our mind. Most episodes are less than 20 minutes and full of holy thoughts and keen insight to help with the spiritual life’s most difficult task – setting our minds on things above. Tim Ferriss Show – Episode 319 – This is a special episode where Ferriss plays clips from the audio version of Ryan Holiday’s book, The Obstacle is The Way. I faced a debilitating fear during the summer that I desperately wanted to overcome. I listened to this episode over and over to help me to see that fear wasn’t going to win and if I could work through this, I would have a great sense of accomplishment and growth. Kindle, Audible, Readwise – As a librarian, you would think that I would be partial to the printed work and in some ways I am. This year, though, I embraced eBooks and Audiobooks like never before. Audible allows me to listen to books on my way to work, while Kindle allows me to always have books with me while keeping a better record of what stood out for me in the text.In addition, I discovered that my Kindle stores all of my highlights in one spot, so I can scroll through them without having to go page by page looking for highlighted sections. When I finished the Apprentice Experience, I went back through all of our readings and re-read my highlights using the Kindle. I don’t think I would have done this with paper copies. Then, just last month, I discovered Readwise. This app accesses your Kindle highlights and sends you five randomly selected highlights in a daily digest email. I look forward to reading these everyday and have started to share some of my favorites on Social Media. Miracle Hour – This manual for spending an hour with God has been exactly what I was looking for. Worship, scripture, confession, and surrender, it is all here. I have only done the full hour once but I will take one section a day and devote about 10 minutes to it as part of my meditation time. If you have the desire for a deeper devotional life but need structure to make it work, this practice is for you. Small Group – God orchestrated the creation of a small group at my workplace with very little effort or organizing on my part. In fact, people started to approach me out of the blue to make it happen. This was a classic case of if it is to be, it will not be from me. I just facilitated what God was already doing and provided a little intention to it, God did the rest and our times together have been wonderful, convicting, encouraging, and Spirit-filled. This has been one of the great treasures of my year. Articles – I always think that I will have added time in my day to read articles that I have discovered while browsing the internet and social media. I often collect things to read that I never get around to. This year, I made a point to read one short article (about 3-8 minutes) and 10 minutes of a longer article on a regular basis (about 3 times a week). This has given me access to great stories, important issues, and helpful wisdom. As Kingfisher’s Catch Fire, Eugene Peterson – A collection of Peterson’s sermons from his more than 35 years of pastoring a church, As Kingfisher’s Catch Fire helped me connect with scripture in new and fresh ways and helped me see God more and more in the day-to-day of life. I finished this just before Peterson died in October. I am glad I was able to appreciate him to such an extent in his final moments on this earth. Becoming Dallas Willard, Gary Moon – I approached this book with caution. Being such a devotee of Willard, I was preparing myself to be disappointed or underwhelmed. Plus, I knew so much about him, I thought I would appreciate the book but not discover anything particularly new. Instead, I was transformed by the book and inspired to live a more personal, direct life with Christ. God working in and through Willard is miraculous and also rather ordinary, just they way all of us should want God to work in and through us. What I am Reading: I am going through my highlights from Dallas Willard’s Life Without Lack and starring the best sections. What has Meant Something to Me: Willard describes the movement of faith from sufficiency to abandonment to contentment. Something I am Going to Try: A day with Jesus. At the end of the book, Willard maps out how to spend a day with Jesus. I am looking to schedule this and plan for this later in the month. What I am Listening To: As Kingfishers Catch Fire by Eugene Peterson. This is a collection of sermons from the long time pastor, translator, writer, and professor. I have the audiobook version and I listen to it on my way to work. Unlike the Baptist preachers that I am used to, Peterson’s sermons are usually around 20 minutes long. So, I often finish the sermons on my commute. What has Meant Something to Me: Peterson isn’t trying to conquer the known world with each sermon. He simply has a text, a word from God, and fantastic use of language. This helps you chew on the message and let it swim around a bit in your head. There are no set of points to map out, just grand, holy ideas to consider and pray through. Something I am Going To Try: Reading the Psalms in the Message translation in order to get a fresh taste of the full range of human experience and God’s provision in that experience. If you were present the last full day of our Gathering in California and looked over at me that afternoon, you would have seen tears flowing down my face. It was the only time that week that I had reached that level of emotion. I stood in the middle of the room. I turned to my friend Kris and said something like, “what did we do to deserve this?” Both of us had our life changed and turned upside down and wouldn’t have even been in the same room with one another if it wasn’t for the writings, thoughts, and example that was on display in front of us. Jane Willard, the widow of Dallas Willard, had just spent the last 30 minutes speaking to our Apprentice Experience Community about what it was like living with Dallas, how he came to write his books, and some of the challenges he and she faced over the years. This was all so fascinating, but then she brought out her personal collection of items from her home – things like Dallas’ personal Bible, letters from Richard Foster encouraging Dallas to write his Christian books, a copy of Mere Christianity, complete with Dallas’ notes, that reads like a conversation between Willard and C.S. Lewis. She had pictures of their wedding and their family through the years as well. Of course, when I picked up his Bible, like many of us, I turned to Matthew 5 and 6, the Sermon on the Mount, to see the notes and highlights on the passage of scripture that inspired the book, The Divine Conspiracy. This book was Dallas’ most profound and influential work and the piece of writing that I found 18 years ago that turned me from a devotee of Christ with little direction and purpose to a disciple of Jesus, willing to be led by him to be the Christ I have been called to be. When I had my spiritual breakthrough many years ago, I began to seek out voices that could feed my desire for continued growth and stoke the inspiration that I had received from a life-giving God. 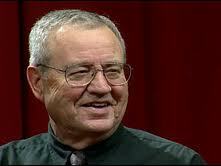 The primary voice that I found was Dallas Willard. I really can’t put into words (though I have tried) what his writings and example has meant for me. His was a life that showed and taught the grand possibility of Christ’s transformation in an individual’s life. Without this message, I would have still had faith but it would be lacking in hopefulness, in vitality, in real examples of growth and transformation. Willard inspires and awakens the reality of Christ and the potential of the Kingdom of God like no other writer, speaker, or pastor I have ever come across. I owe so much of my Christian experience over the last 18 years to the influence of Dallas Willard and in that moment in California, God let me behind the curtain to be with that legacy in an intimate and unique way. I felt unworthy. So there I was, feeling the impact of Christ’s work through one man to help point me to Christ as Savior, Christ as teacher, Christ as friend, and Christ as an indwelling presence in my life. God’s abundance and generosity and foolishness overwhelmed me in that moment. What did I do to deserve this? In the weeks since my dad’s death, I have tried to do a spiritual check in on myself and recognized that I am struggling. I am out of balance. I am stretched thin and lack a lot of stamina when it comes to spiritual things. I am barely able to provide emotional awareness to my family and I tend to turn in on myself instead of look outward for much needed companionship and support. I am grieving, I know, and I am not just being hard on myself or trying to rush the grieving process. But, if there is something that I can do now to keep myself from sinking too far into despair or bitterness, I need to try it. If there is something that would be beneficial to me, even in the midst of a dark time, there is no reason to wait. Despite the hurt and difficulty, God wants to help and desires that I seek out means to allow his grace to come crashing through like a tidal wave. So, I would like to share with you the tools I have used to help me get through my grief. If you are struggling with anything, perhaps some of these tools might be beneficial to you as well. Eugene Peterson says that all prayer ends in praise. Many Psalms were reminders that I can’t just remain in my sadness and despair. There is a time and will be a time when I need to consider all of the Lord’s work and begin to turn my tears into joy. The Psalms can guide me through that. I have always been encouraged, convicted, and inspired by music. I look back on dry periods in my spiritual life and can recognize that there was a consistent lack of music. For several weeks, I was having to drive three hours back and forth from my home to where my parents live. That gave me many hours to listen to music and to find comfort and peace there. I found myself gravitating towards the texture of the music rather than the content of the lyrics. I needed sounds that were comforting and uplifting in a sad sort of way. I know, a very specific formula. I found it in a collection of 6 songs by Andrew Bird. Many of his songs, and the way he uses instruments, just wash over you and then carry you away to a reflective place. I was in a reflective mood and needed to tap into this side of me. Throughout this summer, I have been reading this classic by my hero, Dallas Willard. I have read it several times since 2002, the year it came out, but this time was different and it was incredibly comforting and motivational. If you haven’t read it, Willard describes the vision and the means for having Christ transform all of the parts of the self including our thoughts, emotions, will, and social dimension. With each description and process for transforming a certain part of myself, it was easy for me to evaluate what progress I have made in 15 years. Then you throw in being in the arena of struggle, pain, service, and loss, and it is like a Minor League player stepping up into the big leagues. There was no denying my progress and also where I needed to improve. I saw areas where God has done some amazing things in my spiritual growth but I also saw some areas where I have neglected to do my part and little growth had risen to the surface. I was comforted and convicted at the same time. That is a great place to be in your spiritual life. Next time: Three more tools for overcoming grief. Aaron was young, a little bit bigger than I was and wore a cowboy hat and carried a backpack and one suitcase. I had never picked up a hitchhiker before and wasn’t planning on it that day. He was on his way to surprise his mother for Mother’s Day when I met him. I had stopped to get gas and was just 40 minutes away from seeing my own mother for Mother’s Day. He had already traveled hundreds of miles from Fort Riley, Kansas and only needed about 70 more miles to go. He wanted to know if he could catch a ride with me for part of the way. When Aaron approached me, it made some sense for me to give him a ride but what was I getting myself into? Willard’s idea is that Jesus, who is living out of the power of the Kingdom of God, had no reason to be frightened or worried, his Father was in control and that was all that mattered. If that was good enough for Jesus, why can’t it be good enough for me? I don’t know if Aaron made it home in time for Mother’s Day. When I dropped him off, he still had about 40 miles to go. But, I prayed that he did. I wish I could have seen the surprise on his mother’s face when he showed up. The whole thing was kind of surreal, like something was happening that involved me but where I didn’t have much say over the matter. I just filled a role I felt like I needed to fill at that particular time. Was I uncomfortable? Yeah. Was I surveying every move he made while in the car? Yes. Did I try to think of scenarios where I could call for help if I needed it? Sure. But it was about as normal a conversation and time as could have been had on a warm Spring day when we were both just trying to get home to see our mothers. Today, I start my chronicle of the Apprentice Experience, the 18-month training in discipleship that I am embarking on. I spoke more about this last week. AE was started by James Bryan Smith, a professor of theology, author, speaker, and self described Forrest Gump of American Christianity. 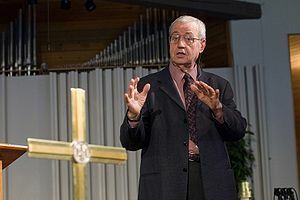 His background was not in the church, yet, he was picked out by Spiritual Formation maven Richard Foster to be mentored. He never really ran in Christian celebrity circles yet musician Rich Mullins showed up in one of his classes and ended up living in an attic apartment in Smith’s house. He often says that his sermons and messages are basically the same wherever he goes and that they lack sophistication yet he was told by the brilliant and much revered Dallas Willard that he was the one that should develop a Curriculum for Christlikeness. He also had the privilege to be mentored and taught by giants in the field of ministry and the Christian spiritual life – Henri Nouwen and Brennan Manning. Hopefully, what Smith will be most well known for is his Apprentice book series. I have read these through several times and have used them for Bible studies, small groups, and for mentoring college students. The first book, The Good and Beautiful God, unpacks the character of God by looking at the way that Jesus described and thought about his Father. The second book, The Good and Beautiful Life, focuses on what makes a good life and takes the reader through a study of the Sermon on the Mount. The third book, The Good and Beautiful Community, works on living the Christian life in a social context of work, family, church, and community. The framework found in this series is the anchor points for the Apprentice Experience and one that I find insightful, profound, and accessible. I have found that Smith is not concerned with pushing some gimmicky plan or fad insight to make him look clever or sell more books. He simply wants to teach others ways to know the God he knows. Through the Apprentice Series, he does just that. This week, I am profiling people who have had the most influence on my Christian spiritual life. Today’s profile is of a thinker who made me fall in love with Jesus. His Influence: As a young evangelical pastor, Dallas Willard was troubled by how much he had to “grind it out” to get visitors to the church and get them to come to salvation. He felt that much of his efforts were a form of manipulation and didn’t reflect what he thought he remembered from Jesus’ ministry. He began to study the Gospels more closely and discovered that people were incredibly drawn to Jesus. Willard began to ask himself, “What was it about Jesus that drew so much attention and what was it that made others want to be close to him and follow him?” Willard saw Jesus as gentle, relaxed, purposeful, unhurried, loving, compassionate, and understanding. Willard began to wonder if Jesus knew something about what made up the good life and how to live in the Kingdom of God? These questions led Willard to pursue graduate degrees in philosophy and he would eventually become an accomplished professor at the University of Southern California. For thoughtful Christians and pastors, he would be known as the author of books such as The Spirit of the Disciplines, Renovation of the Heart, and his master tome, The Divine Conspiracy. What I have learned from Willard. Around ten years ago, God broke me down in order for him to become the center of my life and for me to no longer rely on my own strength. I began frantically looking for writers and preachers who could guide me into the next phase of my spiritual life. I wasn’t interested in superficial religiosity and greeting card theology. I needed something meaty and hearty that would demand something of me and challenge me to pursue Christ at all costs. I picked up The Divine Conspiracy and discovered the power of the Sermon on the Mount and that led to grand passages that I barely paid attention to in the past such as the 10 Commandments, Fruits of the Spirit, Colossians 3, and 1 Corinthians 13. But most of all, Willard taught me about the nature of Jesus and what it means to follow him. The concept of the Kingdom of God was foreign to me before but Willard showed me that this was Jesus’ major theme in all of his preaching and teaching. From Renovation of the Heart, I learned what makes up the human spiritual self and how each part can be changed into Christlikeness. Willard, for all of his intellect and philosophical skill, is also very practical and is very thoughtful in finding ways to phrase things in a way that anyone can understand and remember it. Thus, I can quote Dallas Willard in my sleep: love – to will the good of another, peace – the absence of will, faith – confidence based on reality, hope – anticipation of good not yet seen, discipleship – learning to live the kind of life that Jesus would live if he were I. If I had not discovered Willard, my spiritual life would have been earnest but lacking intention and focus. I would not have discovered my mission in life, which is to become more like Christ in order to spread the work of his kingdom. I would not have started these ministry efforts to help ordinary Christians find growth in their spiritual life. I am eternally indebted to Willard and his writings. Willard recommendations: If you want to experience Dallas Willard for yourself, check out these recommendations. The Divine Conspiracy – This book will set the foundation for the need for discipleship and how life with Jesus is the only way to live. Renovation of the Heart – Once you have the foundation, you will need a guide to become more Christlike. This book shows how each part of ourselves can be transformed into Christlikeness.